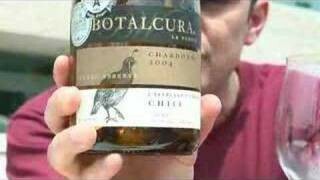 Wine Library TV | A Sparkling Wine From Spain and Portugal, South Africa & More. EP 576 A Sparkling Wine From Spain and Portugal, South Africa & More. Gary’s wines of choice these days are all over the place so Gary does another mixed bag to see what he comes up with! Here in the Netherlands Portugese wines are very much underrated and I get the feeling that’s the same in the US. You don’t taste Portugese wines very often in the thunder show. I was wondering what you think of the Portugese whites, I never saw one passing the show. I quite like the Portugese whites, especially when they are made of local grapes as Arinto, Roupeiro, Antao Vaz, etc. Hopefully we will see a show dedicated to Portugese wines. Love the rambling randomness of the show, great focus on the wines from you G, the description of the Jardin was classic as well. Great show, great moments, Love WLTV!